Make a bold and daring statement with this yellow tungsten carbide wedding band by Triton Rings. The center is uniquely engraved with a tire tread design and topped with a matte finish. Both beveled edges are polished to a glistening shine. This ring is also made with a rounded interior for increased comfort. It’s available in a 9mm width. You may find similar ring styles in our grooved wedding bands collection. Tungsten Carbide is the newest and strongest metal to be used in the jewelry market. It’s four times harder than titanium and twice as hard as steel, making it highly scratch resistant. Please note that inlays are made of a softer material than tungsten; therefore, they can scratch. 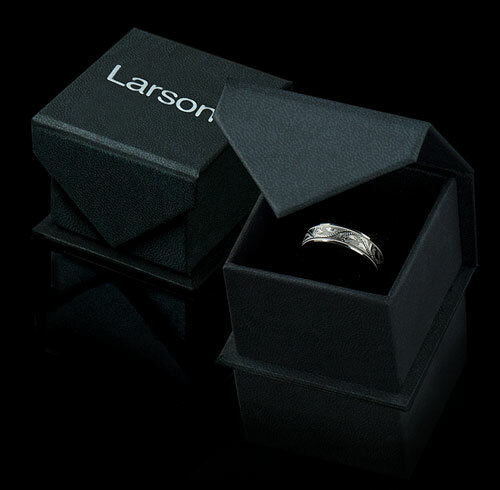 Larson Jewelers is proud to be an authorized dealer of Triton Rings. Triton Rings is one of the most well known and respected designers of tungsten rings in the USA. All of their rings come with a manufacturer's warranty that covers lifetime size exchanges as well as repair or replacement in case of accidental damage. 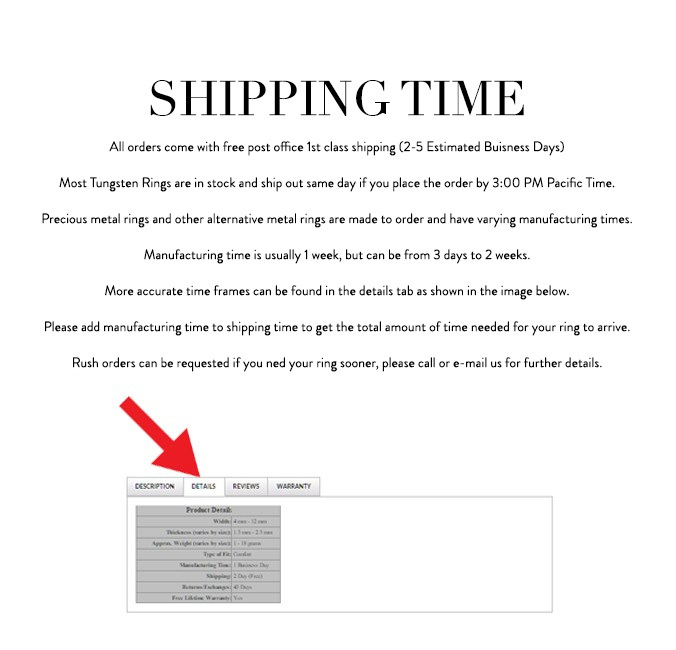 Note: There is a fee charged by Triton Rings, not us, to cover the charge of shipping and handling for all warranty work.